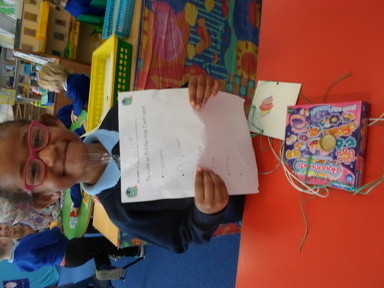 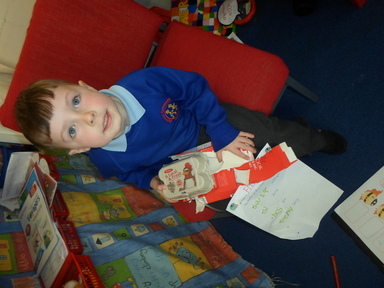 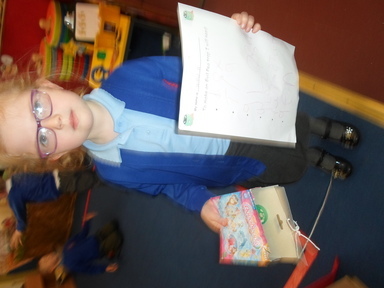 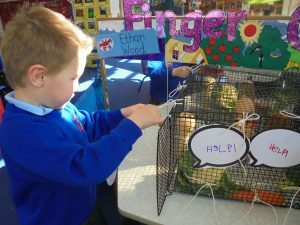 In Reception we have had a very busy few weeks of solving crimes, saving vegetables and trapping Evil Peas! 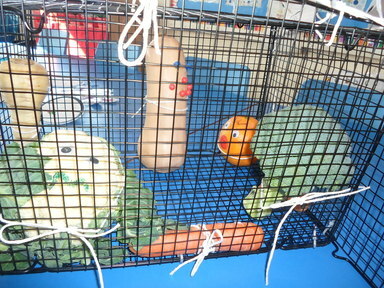 It all began with a cage full of trapped vegetables. After reading the story ‘Supertato’ by Sue Hendra, we had our suspicions about who might have been to blame for this terrible crime. Evil Pea had a reputation for looking for trouble and we thought it might be his doing. 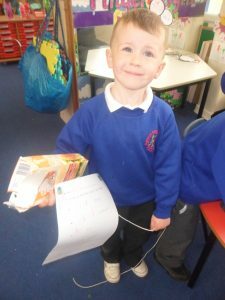 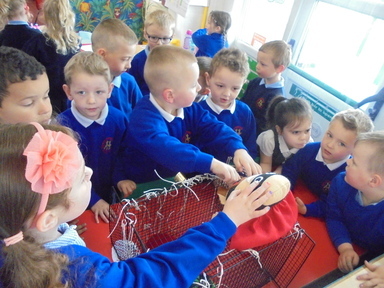 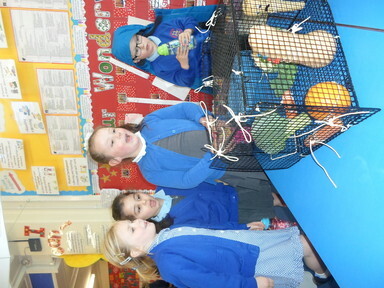 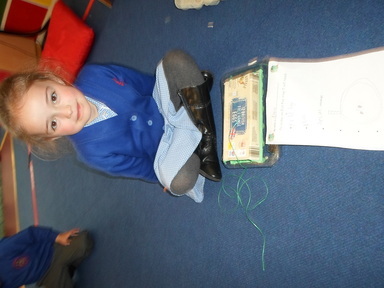 We used our fine motor skills to try to untie the strings on the cage and wrote messages on speech bubbles for the poor vegetables. The next morning we were delighted to see that the vegetables had been saved by none other than SUPERTATO! 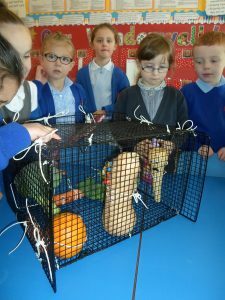 Evil Pea was now inside the cage and Supertato needed our help to fasten it shut again so that he could not escape. 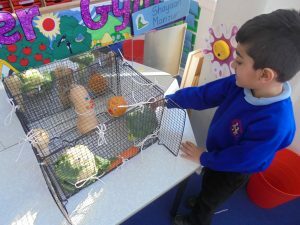 A few days later Evil Pea had somehow managed to get out of the cage and he was nowhere to be seen. 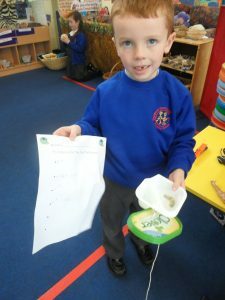 We think he might have had some help from his fellow Evil Peas. We could not leave the vegetables in danger of being captured by Evil Pea again so decided it was best to lay out some traps. 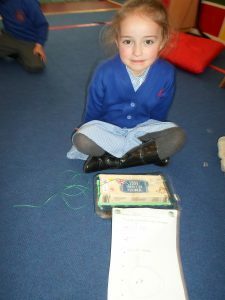 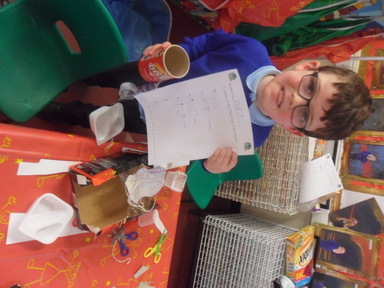 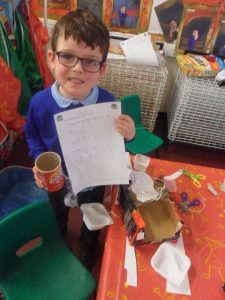 First we wrote a list of all of the things we thought we would need in order to make a secure trap and then we got to work making them. 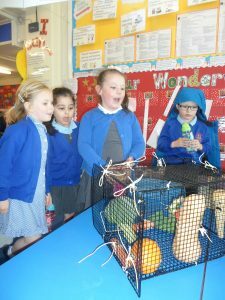 Luckily all of the traps worked and we captured hundreds of pesky Evil Peas but not the most evil of all – he was still in hiding. 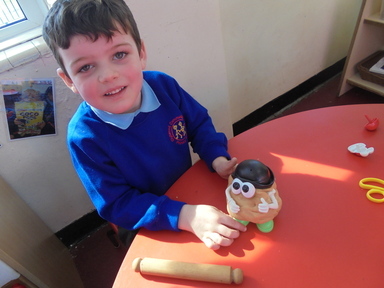 However it was Supertato to the rescue again as we came into school the next morning. 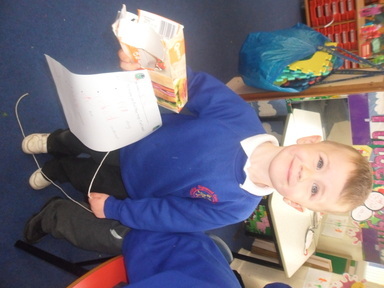 He had seized Evil Pea and taped him to the wall where there was no chance of escaping. 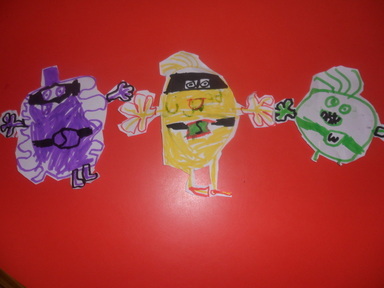 Some of us thought that the problem with Evil Pea was that he just did not know how to be good. 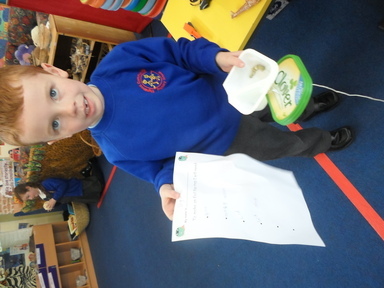 We decided he might not be so Evil if we wrote him a list of rules to follow on how to be a good pea. 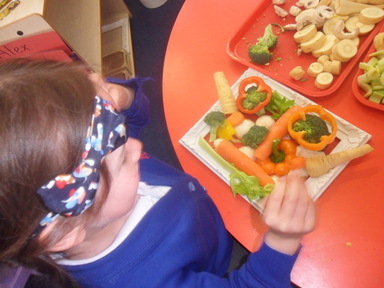 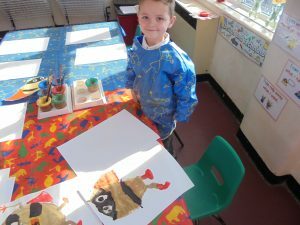 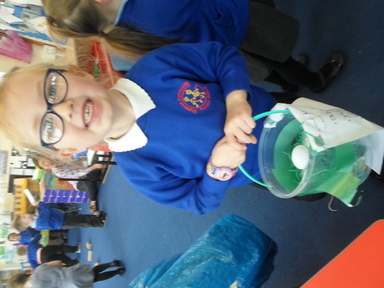 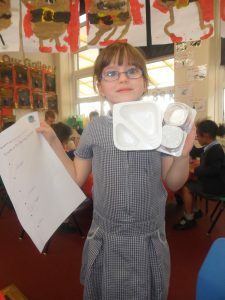 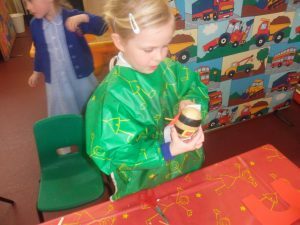 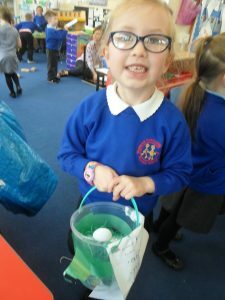 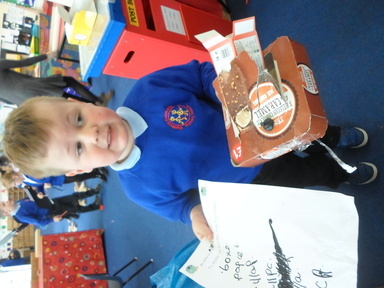 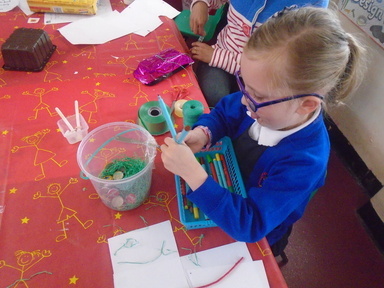 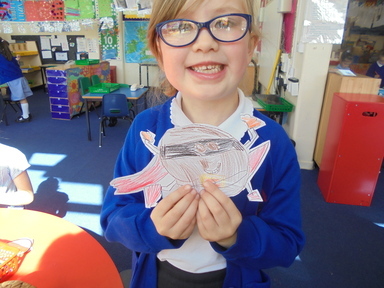 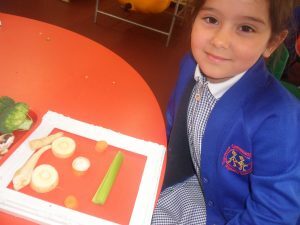 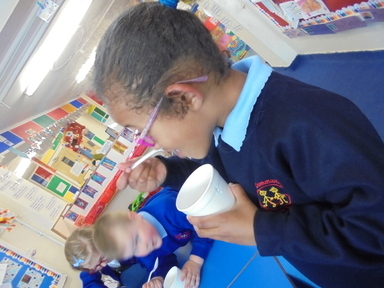 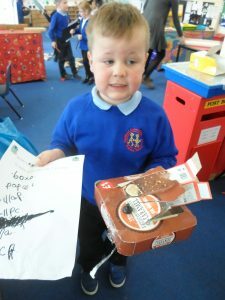 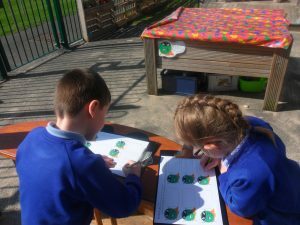 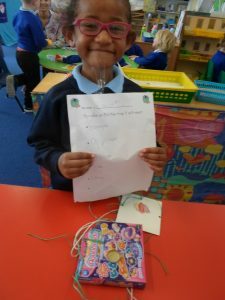 It has been a very exciting three weeks and we have also had numerous hunts around the classroom, tasted pea jelly, painted our own Superveggies and made our very own Supertatoes. 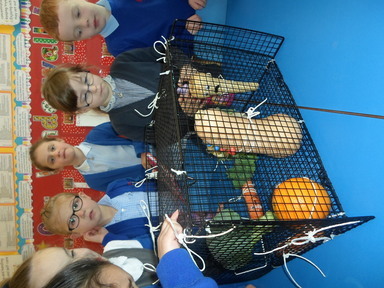 We are now experts at solving crimes and keeping the vegetable community safe. 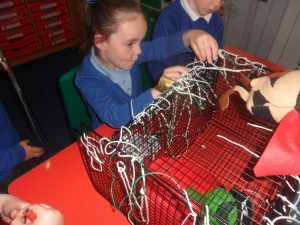 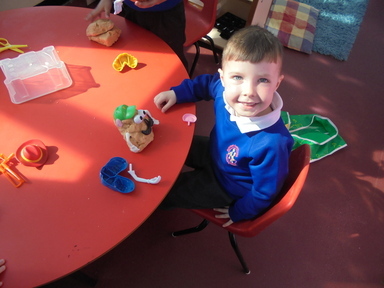 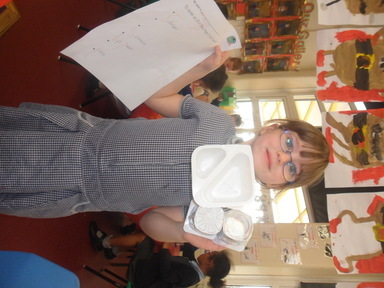 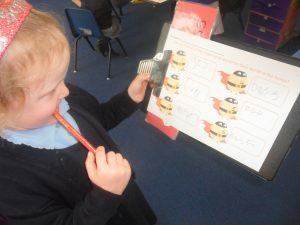 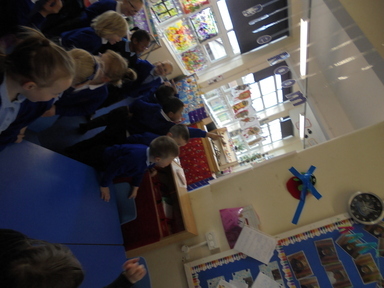 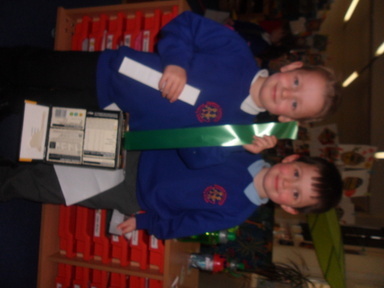 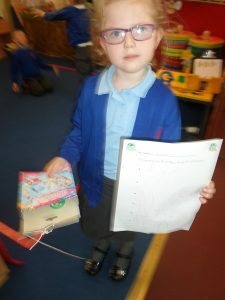 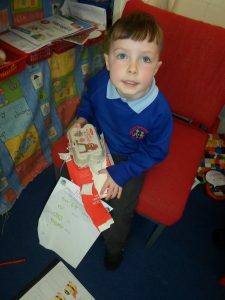 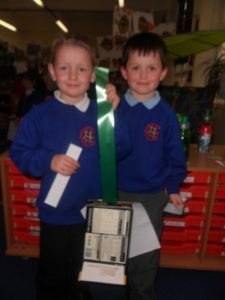 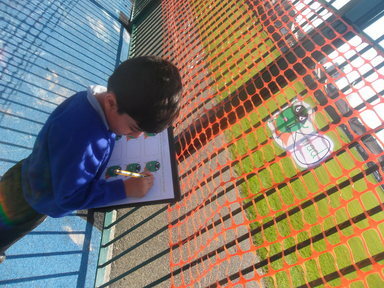 Please take a look at these photographs to see our super work in action.